Edited by: Irmtraud Stellrecht. Series edited by: Irmtraud Stellrecht. 4 pp. Roman, 647 pp. 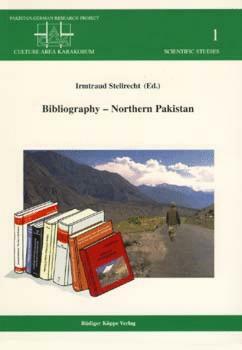 This bibliography on the high mountain region of Pakistan contains more than 5,000 titles in Western languages. Included are scientific inputs from different disciplines (physical and cultural geography, botany, cultural anthropology, ethnology, linguistics, Oriental and Islamic studies, history and archaeology), travel reports as well as unpublished manuscripts, especially from development organizations. The bibliography covers a time span between the second half of the 19th century right up to the 1990s. The titles are listed in alphabetical order and can easily be found by referring to the region and thematical index. The majority of the titles having been provided by CAK project members whose research in northern Pakistan began in 1989. The range of interests of the main contributors and the focus of their research inevitably guided their selection of the literature, which in turn, has defined the thematic limits of this bibliography. Owing to the fact that earth sciences, such as geology, geophysics, geomorphology and glaciology, were not included in CAK research, we must state that the inclusion or omission of titles pertaining to these fields was a question of mere chance. It must be noted that a markedly contemporary and progressive accent is offered by the “grey literature” which includes material mainly intended for internal use in governmental or non-governmental agencies. The choice of “grey literature” was necessarily random, and the compilation is by no means comprehensive. This book will open up many new avenues for all of us interested in the wider Western Himalaya/Karakorum region. Mit dieser, schon 1995 anläßlich der internationalen Abschlußkonferenz des DFG-Forschungsschwerpunktes ‘Kulturraum Karakorum’ angekündigten, Bibliographie liegt nunmehr ein einzigartiges Verzeichnis wichtiger Publikationen zu einem räumlich eher periphären Natur- und Kulturraum vor, der jedoch sowohl in der Wissenschaft wie auch in der Regionalpolitik eine große Beachtung findet.